Selling a house can be stressful. Selling it at a price as high as possible is even more challenging. In reality, the state we live in a home and the state we will present a house for sale can hardly be exactly the same. More often than not, we will need to give our house a makeover to present it at its best. What is seen ( by updating the looks) adds more than what is unseen (by updating the infrastructure like plumbing, electrical wiring, etc ). There are many things we can do this without spending a fortune, yet still create wow factors and make the property appeal to wider market. Apart from the declutter and painting the interiors which are vital and commonly discussed, here I would like to talk about a few of other factors. Street or curb appeal is the first draw card. The potential buyers might click the front online: if it is not appealing enough, they won’t even bother to click further. They might drive past: but if they are not attracted, they will never turn back. The fresh painted facade with natural modern colors in different shades that compliment itself and surroundings, the immaculate lawn, the well manicured garden with trendy sculptural plants , the algae, rust and broken tile free roof, the well maintained fence & drive way and the sparking clean windows are all essential to create the inviting street appeal. Front door to a house is like an eye to a person. If we say it is the soul of the house, we are not really exaggerating. A quality, unique and welcoming focal point nourishes the house and will definitely increase its value. There are many ways to enhance a front door. First, if necessary, change a new door, be it a super sleek modern door, a detailed wooden craft door or an antique door with lead glass. Next more economically, a fresh coat of paint might do the job just effectively. Choose an inviting color to compliment the overall style of house; Or be bold: follow the trend to pop a color, like dramatic yet still classic red, bright happy yellow or cool turquoise, etc. 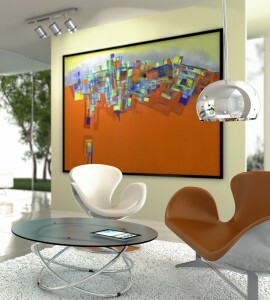 The bright contrasting colors add instant energy and personality. Thirdly another part that can be easily updated is the door hardware. Quite often we can embellish the door with a new eye catching door handle, lock or even a knocker. An inviting and inspiring door leads people to imagine a dream home behind it that they would love to invest. Good light makes all the difference in many ways. Right lighting will turn a room from mediocre to sensational. What can we do then? Do everything we can to increase the abundance of natural light. Clean all the windows to maximize the nature light, which we probably won’t see it , but we can definitely feel it. Are the lighting fixtures outdated? Modern and attractive lighting and chandeliers can be bought affordably in lighting outlets and online shops. They create a modern look and feel instantly. Is there any light bulb faulty? Change every single one not working; Also consider higher wattage bulbs throughout to illuminate the rooms to appear bigger, fresher and more desirable. Make sure there is enough lighting in darker rooms; there is warm cosy lighting adding ambiance in bedrooms and directed lighting that highlights a beautiful feature. Of course, don’t forget to turn on the lights before the open inspection. I learnt a trick from a very experienced agent: turn all the lights we want to be on on, then control the all house lighting on/off by controlling the main switch. To make sure the home smells fresh and inviting is an essential part of the sale process. Any smell that is too strong could send potential buyers running out the door. It is vital to eliminate any traces of pungent odors like garlic, onion or pet odors. Ambient fragrance in the background appeals to potential buyers’ senses and creates a warm, comforting atmosphere. Aromatherapy may give us a much-needed unique and surprising edge in today’s competitive market.